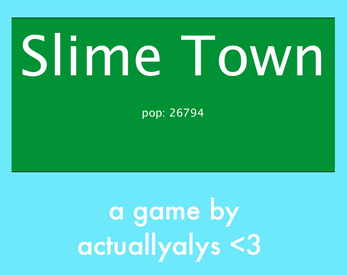 It's your first day working as a receptionist in the city hall of weird Slime Town. Your boss, the mayor, is pretty chill, but, unfortunately, a dated constitutional provision means that if you get ten complaints, you lose your job. This project is incomplete but you can get a sense of the gameplay. Update (11/16): the game still needs more fleshing out and tuning, but is largely complete. Made for Procjam 2018. 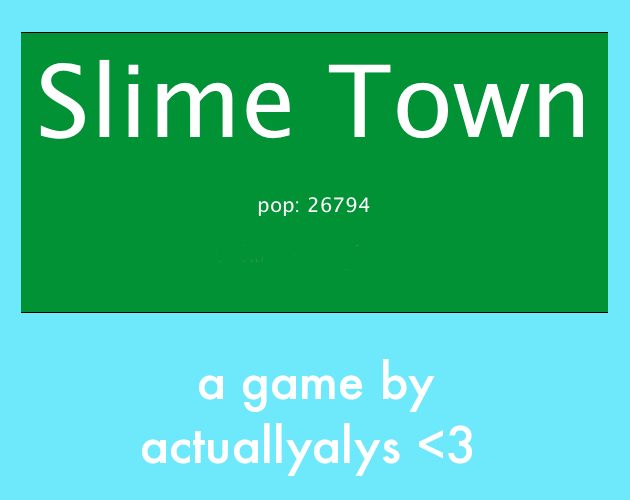 I originally intended to submit this to another game jam that has a slime theme. Basically, you need to solve each person's problem while doing so in a way that fits their personality. For example, lonely citizens want you to talk to them in addition to solving their problem. Left arrow key or A to go back. Original background image by Marco Verch and heavily altered by me.